A new style for your favorite team. 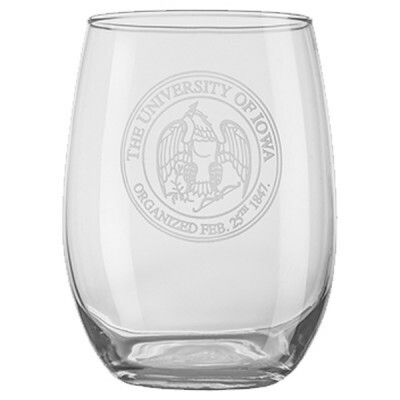 The Iowa Hawkeyes Stemless Wine Glass is a 14 oz. wine glass that displays the University of Iowa Seal. All Bob Hibbert glassware is sandblasted to a deep etch for a distinctive look and feel.